Dimensions 0.58 by 5.50 by 8.50 in. Amazon.com description: Product Description: Attempts were made to properly scrutinize and expose the important and speculative physics in a general context (without equations) for public dissection and consumption. The important physical ideas here are the quantum theory, relativity, evolution, Maxwell's demon, black holes and the double-slit experiment, while some of the important and speculative notions are the usual ones, namely, the theory of everything, the big bang, dark matter and dark energy. Along the way, the questions, (1) why biological life forms exist? and (2) do we need a mathematician God? are also addressed. 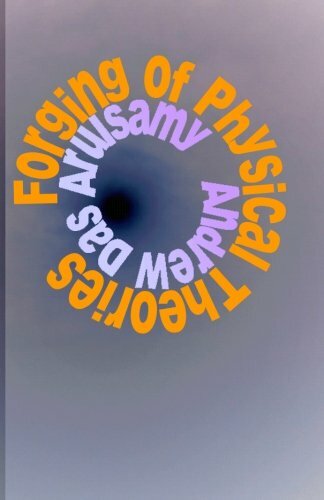 Apart from these topics, the book is also designed to divert your thoughts to scientistsÃ¢ÂÂ personalities, human conflicts, wars and world wars, and their implications on the forging of physical theories. About: Attempts were made to properly scrutinize and expose the important and speculative physics in a general context (without equations) for public dissection and consumption.